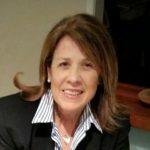 Joni Bryan-Power is a clinical psychologist with over twenty-five years of experience in psychology, counselling and educational roles in organisations, businesses and in private practice. Joni has worked in hospitals, community mental health settings, universities, college, and schools as well as for small and large organisations. Joni has worked with people from many different walks of life, who work in numerous different professions, and in countless different situations. She has had the privilege to work with the seriously mentally ill through those who head national departments and international companies. Joni grew in her professional role as a psychologist from a rich background of professional and personal experience in science, performing arts and education and training. She has held executive positions, been in senior and chief psychologist positions and has owned and directed her own business for several years. Her academic background includes a Master’s Degree in Clinical Psychology, Bachelor of Science (Honours), Bachelor of Education, Diploma of Teaching and is an Associate of the Trinity College of London. Joni believes in contributing to the highest of human potential. She is trained in and combines the rigour of traditional and evidence based psychological approaches with an eclectic framework for growth, development, change and healing. She has a respect for others and a love of life, and is dedicated to holistic health and the gaining of wisdom. Her approach uses acceptance, positivity, openness, generosity and when possible uses playfulness and a sense of fun. Joni encourages growth and personal development for individuals and couples and groups. In her work, Joni includes models such as CBT, DBT, ACT, Mindfulness, Cycle of Change, Motivational interviewing, EMDR and EFT for couples) and draws on many other approaches as well. Joni Bryan-Power is experienced and draws on experiential, psychodynamic, relational, transpersonal, and systems based approaches. While she is experienced in and is dedicated to helping people with many areas of difficulty and growth, her particular interests are in anxiety, life transitions and trauma, conflict and relationship counselling. She encourages holistic health and practices mind body spirit balance in life. Her interests include, bushwalking, swimming, beach holidays, travel, relaxing, many styles of music and the occasional sky dive or paraglide. Joni’s goals are to continue growing as a professional conducting individual, systems or group interventions in businesses and organisations and the wider community; bringing compassion, creativity, incisive problem solving, astute perceptions in complex, delicate or entrenched issues and an ability to facilitate with candour and ease. To promote, enable, support, and sustain productive, healthy and abundant change.